For most of us, most days out shopping consist of spending 10% of our time browsing and 90% spending our life savings on bits from Penneys. 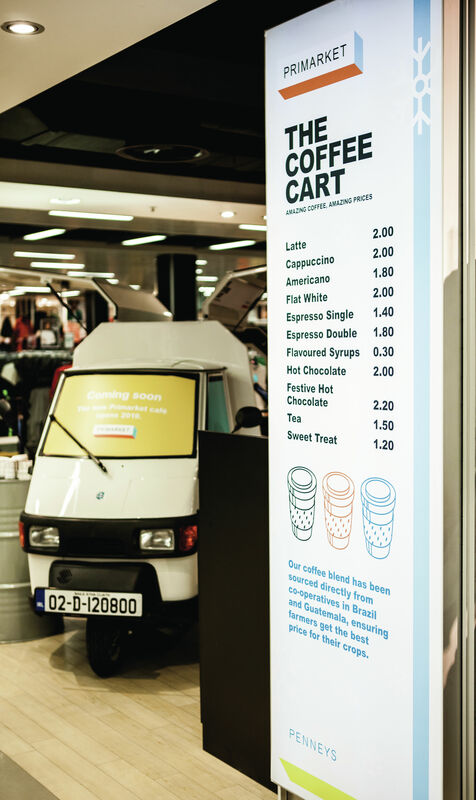 Now to help you browse for hours on end, Penneys has introduced a new service to their stores - the Primarket Coffee Cart. 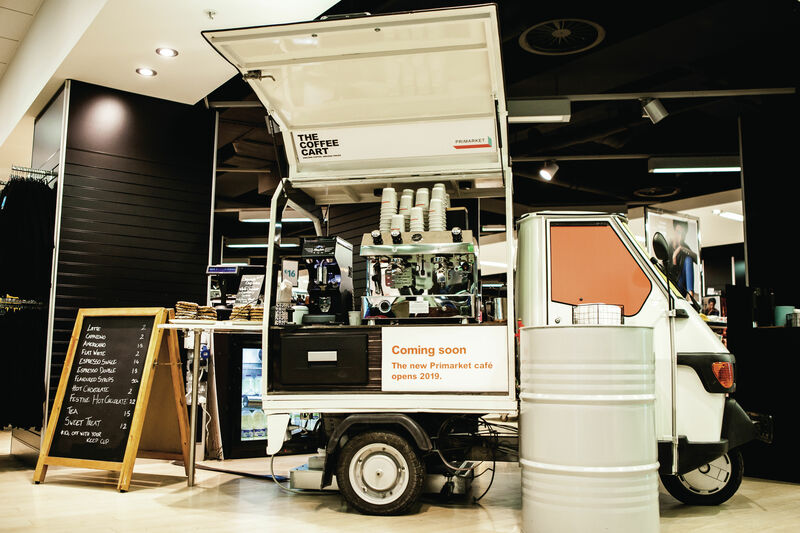 The cart, styled like a minivan selling tea and coffees at your favourite outdoor market, will be a permanent fixture within stores and will enable customers to make a pit stop as they go about their busy shopping day. The full menu includes a latte, cappuccino, Americano, flat white and a hot chocolate all for €2 or less. If you fancy a nibble while you shop, the chain will be selling 'sweet treats' for €1.20. In Penneys flagship store on Mary Street, customers can already get an express manicure and pedicure for €25. The Coffee Kart is currently only available in Mary Street.